The mayors of megacities around the globe whose mission is the reduction of greenhouse gas emissions and the mitigation of climate risks. 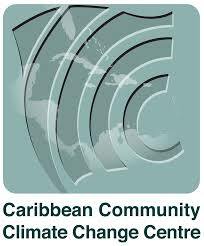 Focal point for climate change issues in the Caribbean. Works through science, law, and creative media to secure a future for all species, great or small, hovering on the brink of extinction. Research, knowledge management and advisory services to support decision makers and drive the latest and best thinking on climate compatible development. Improving the most important energy and land use policies and business practices around the world, with a particular focus on finance. Enacting responsible electronics recycling policies that require domestic recycling of untested, nonworking e-waste. Advocates for a competitive repair market, as well as improvements to the quality and longevity of products. Our Urban Future, a project of the multi-stakeholder policy network Evergreen Cityworks will design solutions for a more sustainable urban future. Contact the Global Water Partnership network. Use our form to send an e-mail directly to the Global Water Partnership network. Use our form to send an e-mail directly to the SEAN-CC network. Use our form to send an e-mail directly to the Evergreen network. Contact the Fossil Free network. Use our form to send an e-mail directly to the Fossil Free network. Help identify Policy Networks in climate and planet stewardship. Nominate a network for inclusion.